Making a big project out of one bad day. For the past few years, my husband has had a performance problem. Not that kind, he’s good there. I’m talking boat engine and speed. I know we’re a sailboat but we want to get there and the sooner the better is okay by me (I get seasick, remember). The wind doesn’t always blow in the right direction and Bill is a direct shot type of guy, no tacking and jibing. We want to go over here not over there. So if the wind isn’t cooperating then turn on the engine. That usually works. 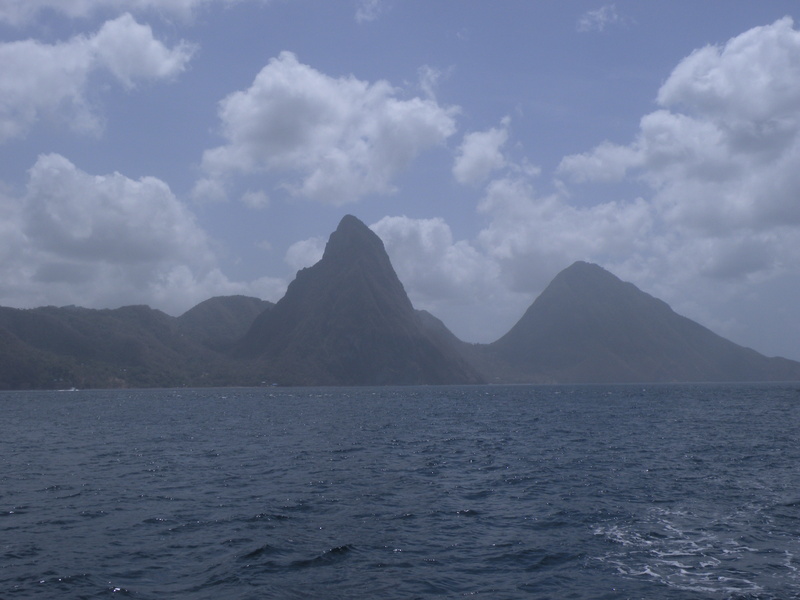 A while back, we sailed north from Bequia in St. Vincent going to The Pitons in St. Lucia. Our Irish friends, Pat and Catherine on Aragorn left at the same time. We would meet up there for sun downers. But, that didn’t happen. 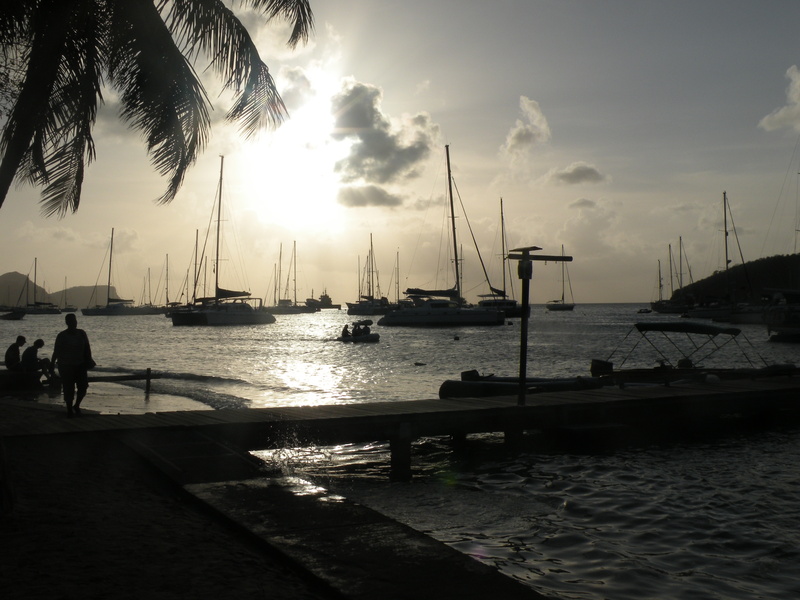 The pass between St. Vincent and St. Lucia should have a sign reading – entering dangerous waters, pass at your own risk. The winds wrap around the headlands between these islands at great and contrary speeds. All the water pushing from the Atlantic wants to continue pushing into the Caribbean Sea, but the islands stand in its way. It builds up its fury between the islands like a teenage girl told she can’t see her friends. A beautiful day of comfortable sailing turns to a day of terror in seconds. The guidebooks warn, people talk and you’ve sailed it before but every time you think the last time was an anomaly, it can’t be that bad again. It is. Aragorn sails great into the wind, so Pat and Catherine headed northeast off St. Vincent and arrived as planned, before sunset and in time for cocktails. Corcovado, sails wonderfully most anyways but not into the wind. We headed northwest, caught that bad girl current pushing through the pass, and couldn’t for the life of us, get away. We ended up many miles off course. Catherine, good and conscientious friend that she is, called regularly on the VHF to update our status and check on our safety. By nine-thirty at night we were so far off, we hardly picked up their signal. We told them we were going into Rodney Bay, at the north of the island, instead. 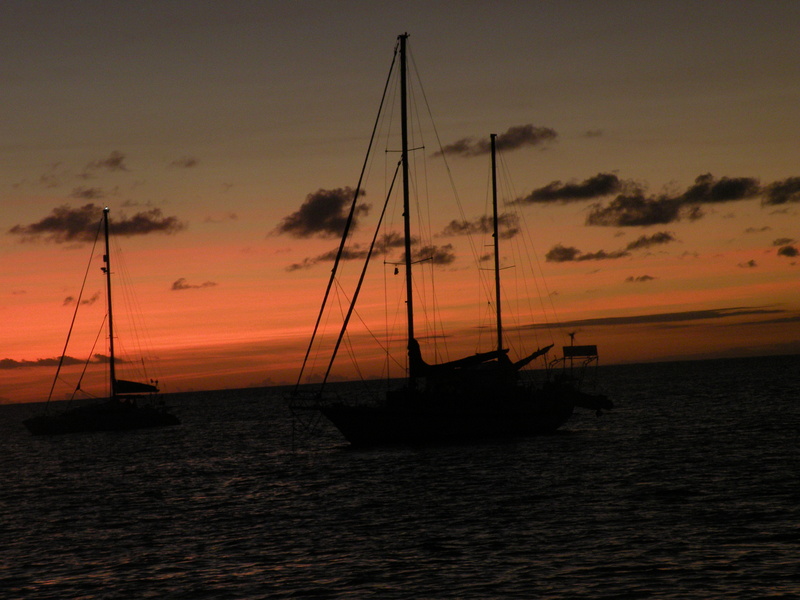 We were long past sundowner and snorkeling would wait for another day. 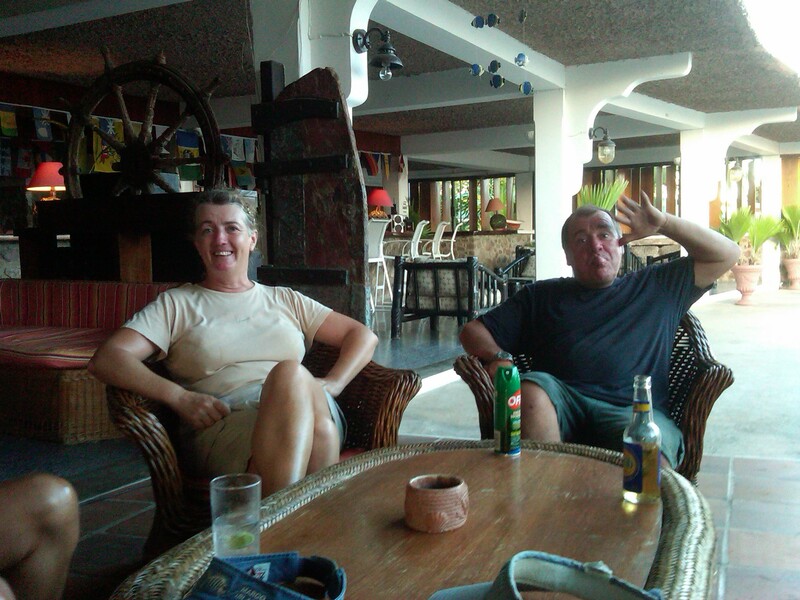 We finally arrived in Rodney Bay at three-thirty in the morning in the middle of a torrential squall. I didn’t care. I crawled along the deck on hands and knees to set anchor, stripped of my sopping clothes in the cockpit (everyone near us was asleep, who could see) and climbed into bed. Bill has lamented that adventure ever since. We wouldn’t sell Corcovado to buy a powerboat. We wouldn’t get a more powerful engine but he sure as hell would find a way to make her power through contrary currents better than she did. He developed his plan over months and months and that plan landed us on the hard for a refit, turning our boat into a work zone over the past five weeks. January 15, 2013 in Boat Business, Travel.